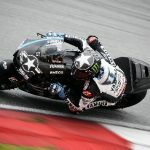 Yamaha‘s Jorge Lorenzo topped all riders with a top lap time of 2:01.657 on the first day of pre-season MotoGP testing at Malaysia’s Sepang circuit. 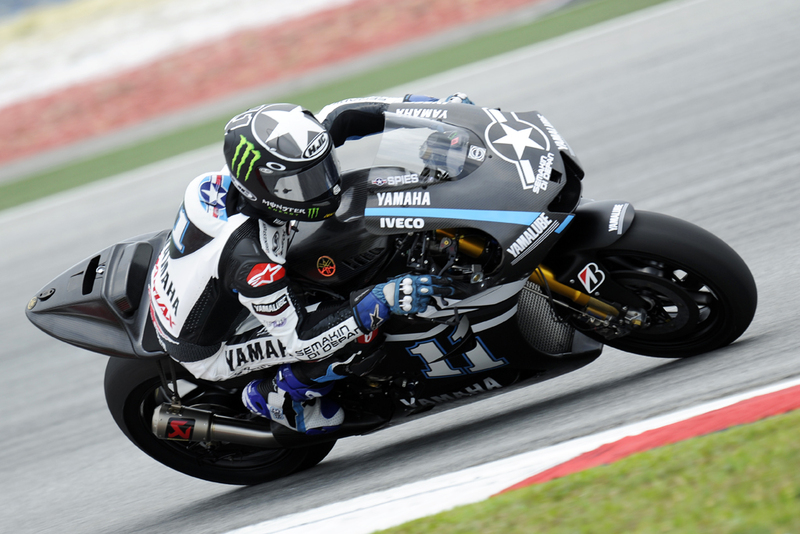 With reigning World Champion Casey Stoner ailing and unable to ride, Lorenzo produced the top time as the only racer to lap Sepang in under 2 minutes 2 seconds. Riding the 1000cc Yamaha YZR-M1, Lorenzo topped second-ranked Dani Pedrosa and his Honda RC213V by 0.343 seconds. 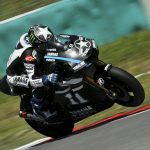 Like most other riders taking part in the test, Lorenzo and teammate Ben Spies focused on getting a base setup for the remainder of the three-day Sepang test. The other two days will be spent trying different settings. Lorenzo put in 30 laps on the first day and he says the M1 has a lot of potential. 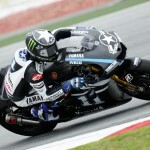 Spies is entering his second year with the factory Yamaha team and though he recorded his first career MotoGP victory in 2011 and finished fifth in the standings, more is expected from the Texan in 2012. Spies rode 28 laps on the first day of testing, with a best time of 2:02.234 good enough for fourth on the time sheets but 0.013 seconds behind Tech3 Yamaha satellite rider Cal Crutchlow. Andrea Dovizioso had the sixth best lap time at 2:02.751, putting four Yamahas in the top six.